The automotive aftermarket deals with the manufacturing, distribution, retailing, and installation of post-sales parts and accessories. It is enormous. In the United States alone, the aftermarket is worth $300 billion and employs more than 4 million people. Europe’s aftermarket comprises 850,000 companies who employ 4.7 million people. Growing steadily at a healthy annual pace of more than 3.4%, the aftermarket is poised to push the accelerator to the floor, fueled by a wealth of new digital apps. These apps will provide numerous benefits to dealerships both in terms of efficient operations and, especially, presenting opportunities to sell value-added services to customers at sale-time or anytime thereafter. A combination of smartphone and vehicle-resident apps provide dealerships with opportunities for cost-savings and service enhancements. Dealerships maintain large inventories of vehicles to sell onto their customers, usually worth several million dollars at any time. Efficient management of inventories can contribute to the bottom line, but sometimes the simplest inconveniences can get in the way. Every day, dealership personnel fetch cars off their lots for consumers to try out, for delivery, or simply to maintain and wash. Just locating individual cars on vast lots can turn into a time-wasting management nightmare. Like trying to find misplaced books in a library, “mis-parked” cars in an acres-wide lot, encompassing hundreds or even thousands of cars can waste hours upon hours of employee time, even delaying delivery to customers. A new app enables smartphone-wielding dealership personnel to quickly find any vehicle on the lot. As vehicles are acquired, sold or moved, the app keeps track of their exact location. The inventory is always up to date. Employees can quickly and accurately find any vehicle no matter where it is. Locating the vehicles on the lot is just one cause of the inventory headache. How about obtaining and bringing the right key to the right vehicle? With a new app, access to the car can be made via the smartphone—no key required. Each car is programmed with a unique digital key and which is also stored securely in the smartphone. Charlie just finds the car he is looking for, runs the app, unlocks the car, gets in and starts it up. RKE is also an attractive option to sell onto customers as well as for fleet owners. 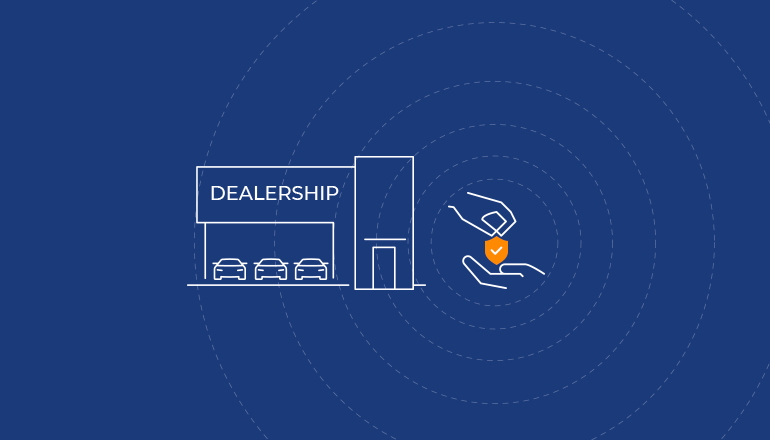 With new fleet-management apps, dealerships will be able to enhance their relationships with their customers, keeping them coming back for more. Instead of waiting for customers to come in for scheduled maintenance, vehicles themselves will report to the dealership (or fleet owner) when that day is near. The dealership will be able to send a branded reminder directly to the infotainment screen in the car. Unscheduled maintenance can become a big retention opportunity as well. Sensors in today’s connected vehicles can already alert when it’s time for an engine tune-up or a brake or tire replacement. Today, there are already more than 100 sensors in a typical car, bus or truck, monitoring performance indicators and sending data to an electronic control unit (ECU) for storage or processing. An app in the car can automatically upload that information to the dealership (or fleet operator) who can then inform the driver/owner—who will appreciate the good service. Gentlemen, Start Your Aftermarket Engines! These apps, and thousands more, are available today or will be in just a few short years. Just as day-night mirrors and interval wipers quickly became staples, some of these new apps will become wildly popular in communities of vehicle owners who will be willing to pay for them. Just as buyers of new vehicles choose their interior and exterior colors, engine size and comfort level, dealerships and aftermarket suppliers will be able to offer a catalog of valuable app packages with price tags. The digital road ahead is virtually endless. Since many of these apps will be downloadable over-the-air (OTA), they will be available not only at vehicle-purchase time, but any time, even years after a vehicle has been out on the road. Opportunities to sell additional aftermarket capabilities and services will continue throughout the entire life of the vehicle. Whenever owners drive into dealerships for maintenance or repair, wise dealers will have their eyes on the aftermarket prize – the latest catalog of apps that might catch the fancy of the owner. In fact, with cars collecting so much data on vehicle use, it is likely that dealers will know ahead of time exactly what types of app packages will appeal to each and every individual vehicle owner and will be able to offer relevant packages. The opportunities for fleet operators are amazing, too. They will be able to upgrade hundreds or even thousands of cars simultaneously with the latest apps. The ability to deliver the compilation of new capabilities in the aftermarket via over-the-air transmissions, smartphones, or other means, necessitates a highly secure ecosystem. GuardKnox’s patented Communication Lockdown™ methodology is based on the very technology employed to protect fighter jets and missile systems. These multi-million-dollar vehicles cannot afford mishaps while in operation. Certainly, no less valuable are the lives of our families, friends and employees whose safety depends on proper operation of their vehicles. There is no room for cyber error! Bringing Communication Lockdown™ to the connected vehicle ecosystem, GuardKnox’s Secure Network Orchestrator™ (SNO™) offers the automotive market a comprehensive, vehicle cybersecurity solution which protects against any type of known or unknown cyberattack. The SNO™ solution is completely autonomous—it does not require any external connectivity, constant communication, cloud connectivity, or ongoing updates. It eliminates the need for human intervention in the security mitigation process. It can defend against any kind of known or unknown cyberattacks. It is even easy to install. The SNO™ is easily installed and fits perfectly into the tiered, automotive value chain. It can be adopted by manufacturers for installation during production or installed in the aftermarket by dealers and fleet operators or offered as as a cost-effective aftermarket solution to vehicles already on the road. The SNO™ provides exciting opportunities for dealerships and suppliers throughout the entire life of the vehicle. SNO™ provides the digital security that enables all of the fabulous potential of vehicle connectivity. Contact GuardKnox to find out how SNO™ can contribute to aftermarket sales and profits.